Just think of all the ways you can prepare eggs. I am one of those people that can eat eggs for breakfast, lunch, or dinner and I make them all different ways. 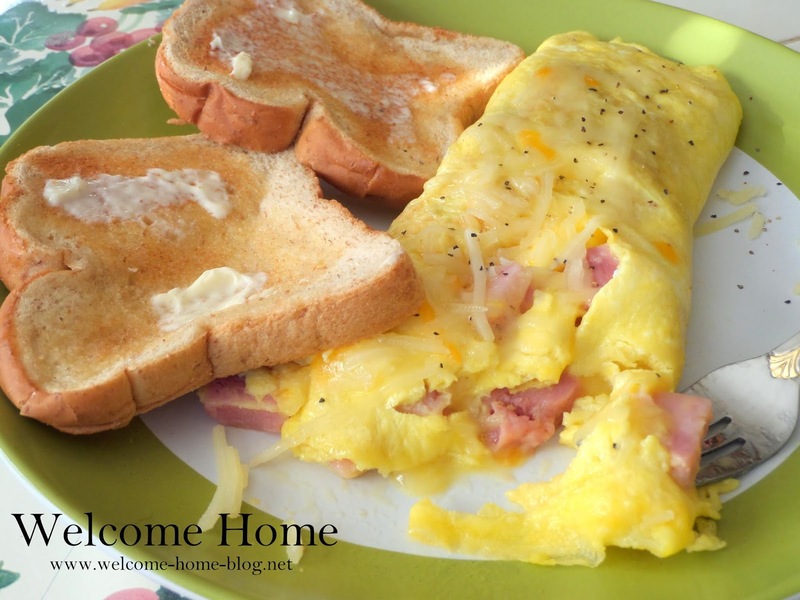 This morning I decided on a ham and cheese omelet and it was so good! 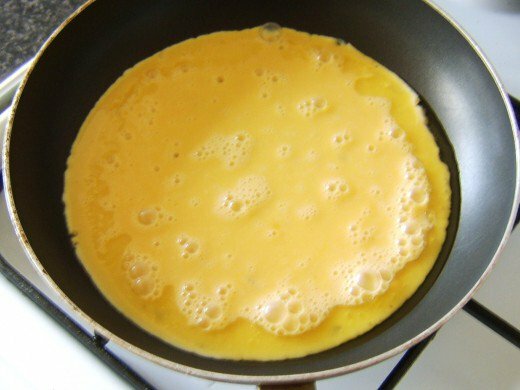 The trick in making omelets is to add a little water to the egg before whisking them. Normally I add milk to my scrambled eggs but when making an omelette, you want water. It makes them so light and fluffy. 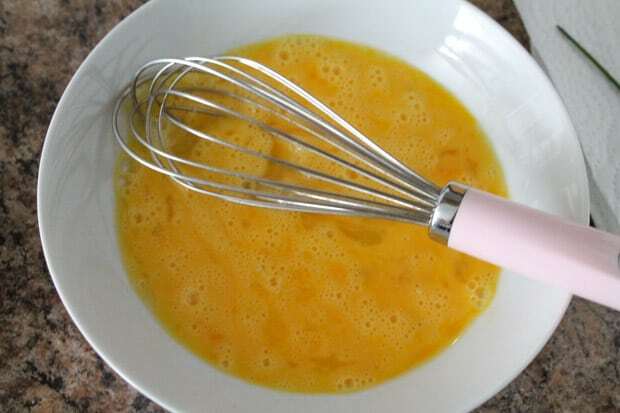 In a medium bowl whisk together eggs and water, making sure you incorporate a lot of air into eggs, so that the omelette will be light and fluffy. Heat a 10 inch non-stick skillet on medium heat BEFORE adding butter. As butter melts tilt the pan so that the butter coats the sides and bottom. 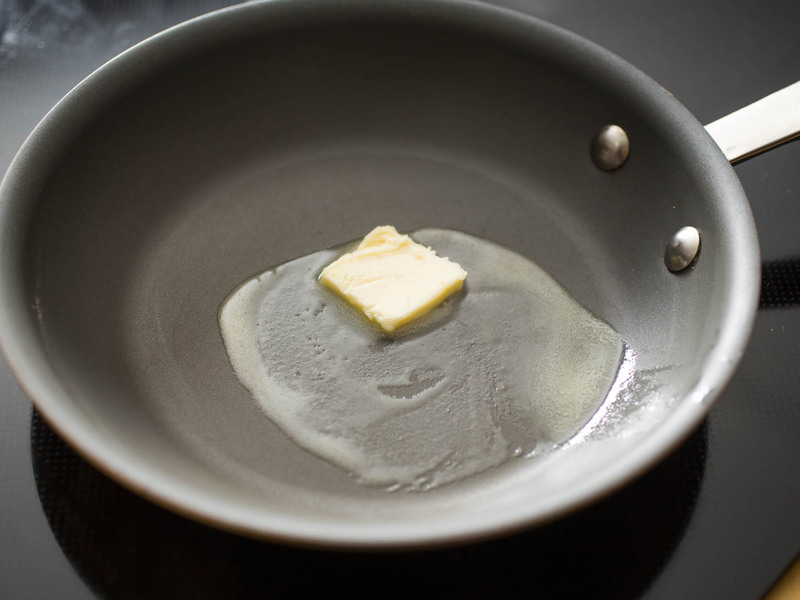 When butter begins to foam you can pour in your eggs and tilt the pan again so that the eggs coat the sides. Salt and pepper to taste (keep in mind that most hams are salty). Allow the eggs to set on the bottom, pulling the sides back lightly with a fork and then tilting the pan so that any unset egg runs under the bottom. Continue to do this until eggs are completely set, about 1 minute. 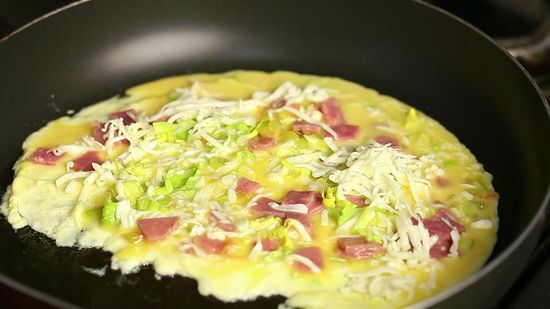 Next sprinkle the omelet with grated cheese and the chopped ham and any other ingredients you choose to add. 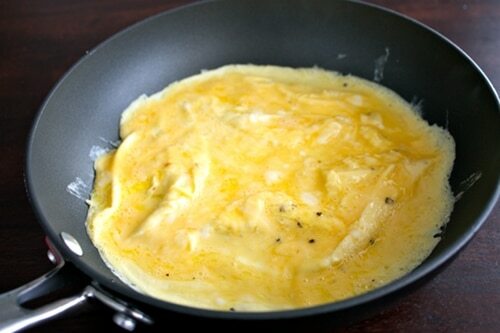 Using a rubber spatula, carefully loosen eggs from the edges of the skillet, and then fold the right half of the omelet over filling, forming a half-moon shape. Lightly press down on the omelet with the spatula to seal it together. You can serve your omelette this way by lifting up the skillet with one hand and a serving plate with the other. Tilt the skillet, and let the curved edge of the omelet slip onto the plate. I like my omelettes rolled and so I hold my skillet by the handle and roll the omelette onto the plate. Sprinkle the top with additional cheese if desired. See more photos in the comment section. Thanks for the how to its been a bit since I threw together a omlett. The beating of the egg making sure there is enough air as.mentioned in this recipe make all the dif. I added a nice creamy fresh Asiago cheese some green onions and mmmm got big smooches for it. So just wanted to say thanks again for a simple how to.